This silver necklet with a silver and leaf crystal enamel pendant is inspired by the delicate woodland Snowdrop which heralds spring, new life and renewal. The enamel pendant measures 4.1cm x 2.3cm and is set on a semi rigid 16 inch silver chain. 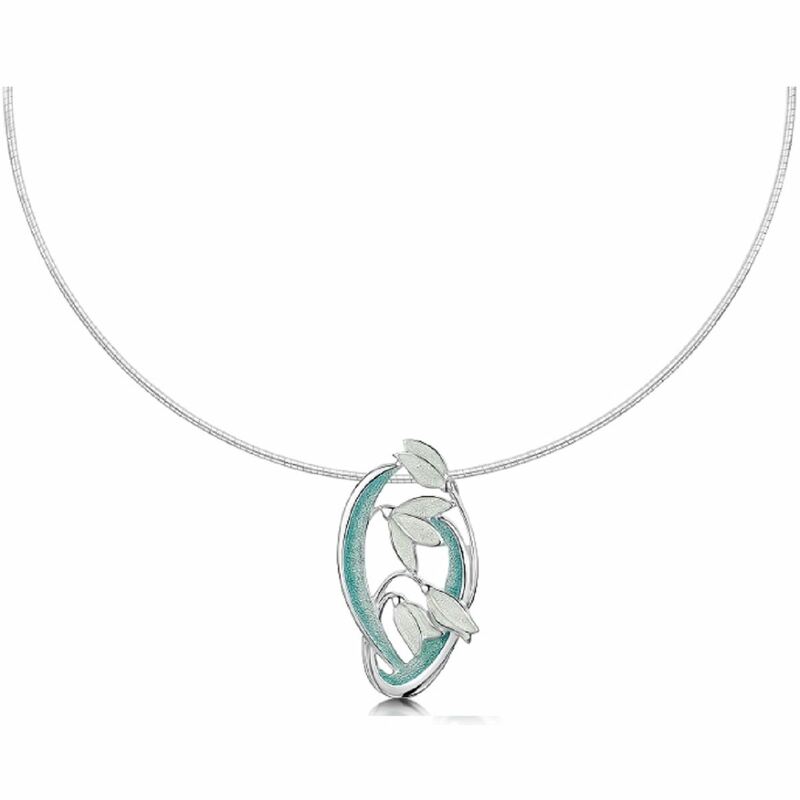 This necklet is presented in a Sheila Fleet branded gift box. Beautifully complemented by the Snowdrop Earrings.